Set in a Ukrainian boarding school for the deaf, the film unfolds through sign language, with no subtitles or voiceover, and with a cast of nonprofessional deaf actors. In his rave review, Indiewire's Eric Kohn calls the film "an unprecedented cinematic accomplishment." Can't tell for sure without having seen the movie, but I think there are some serious spoilers in that trailer, especially at the end. Yeah the only problem here is a small, simple one, and it's that more people haven't seen this movie yet. May it be that this problem becomes fixed, because this movie's a massive bag of riches with a theatrical texture that's better for the big screen and in the company of others. I'm not making a special discovery by calling this a great movie, it's definition of. There's no music, ever. This movie's so deaf. I sometimes tried to imagine myself experiencing deafness. I'd appreciate, indeed, emotions and movements and actions of the characters. Everything was readably human. And I'm exaggerating, because the audience can hear the sound of people walking and the wispy noises of hand gestures and ruffles from clothes and there's an outdoor merry-go-round section. The outdoor merry-go-round section has special noises for people who can hear. The pros/cons of deaf people speaking isn't part of the conversation because it doesn't happen once in the movie. Sometimes there are bodily noises. I'm "wildly speculating" that graffiti was put in for the movie or touched up or something. The graffiti looks so ace. If all graffiti in LA looked like that everyone'd more often think there should always be graffiti. Great colors. There's a lot of clothes in neutral colors, which fashion has been around before now and lasts after its fluctuating periods of popularity, because neutral colors are staples to urban clothes the same as brown cowboy boots and blue jeans to the country. A black leather jacket has a kind of universal truth about it, for example. A black leather jacket in cinema is a tracking shot, and this movie is nuts about that too. This movie wears Alan Clarke-style leather jackets, and the movie wears it around the entire geographical and emotional environment of the school and students. This movie's a terrific example of why sometimes in cinema it's a good idea to leave the room. Imagine if you will an entire movie in one room about two deaf people. I couldn't pitch it to anyone here, and I probably wouldn't have seen it myself. That's interesting because I think I'm illustrating devices this movie uses to open itself up. Yeah, that could be it. To repeat and summarize: it's not impressive that I noticed the photography of this movie is excellent. I didn't even talk about its lighting. It does night shots like it loves your eyes. This movie will impress you itself and just people need to see it, that's it. Also, I didn't mention a portion where I closed my eyes until the sound of medical instruments stopped (the narrative cut was to a quiet exterior, which was helpful for me to know when I could open my eyes). 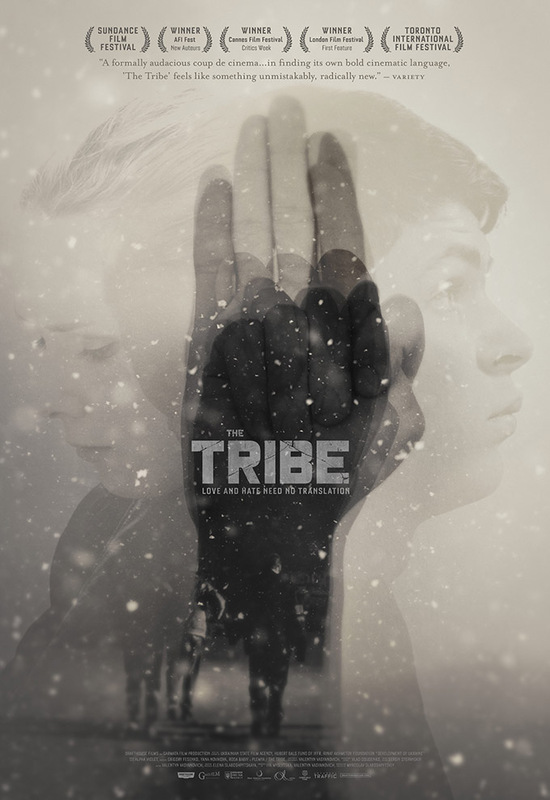 One of the most talked-about arthouse flicks from this year was “The Tribe,” a punishing and harrowing look at institutional indifference, codes of violence, and the slippery ease with which impressionable minds can be molded into a mob mentality. And while I personally remained unconvinced of the film's narrative merits, it’s hard to argue that it’s an appropriately agonizing and consistent vision that’s pretty much unlike anything you’ve ever seen. The story of a vicious gang of deaf and mute teenagers who run their own slice of a run-down boarding school like La Costra Nostra, “The Tribe” has been justly lauded for the audacity of its central gimmick, and has even managed to land on a handful of critics’ best-of-the-year lists. For those who dug “The Tribe” in all its artful nastiness, director Miroslav Slaboshpitsky has something else in the works: a film shot inside the exclusion zone of Chernobyl, home of history’s most notorious and destructive atomic-reactor meltdown.